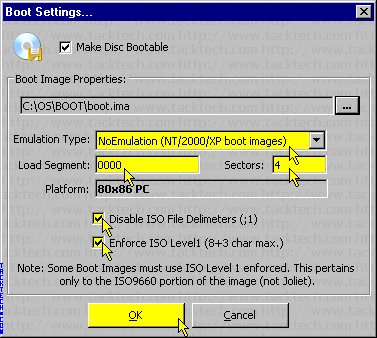 Creating bootable Windows 2000/XP/2003 ISO (CDBurnerXP 3) (Windows 2000/XP/2003) - TACKtech Corp. 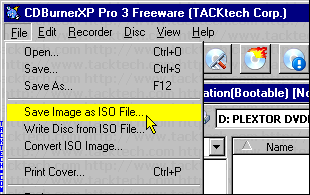 Note: CDBurnerXP Professional 3.0.116 was using in this example. Note: Links to regarding CDBurnerXP are found at the top of this article. 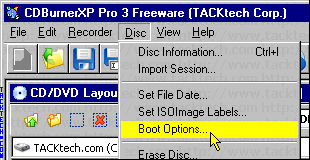 Select Disc > Boot Options... from the menu. 1.) 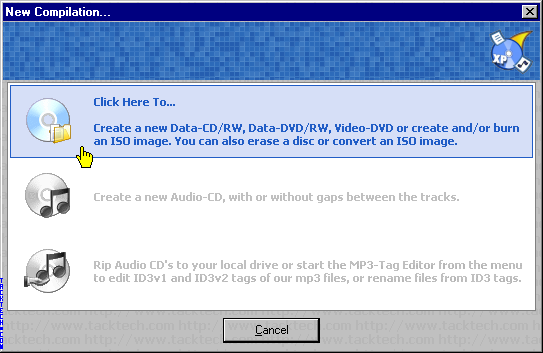 Check the Make Disc Bootable check box. 2.) Click the ... button. 2.) Set Load Segment: to 0000. 3.) Set Sectors: to 4. 4.) 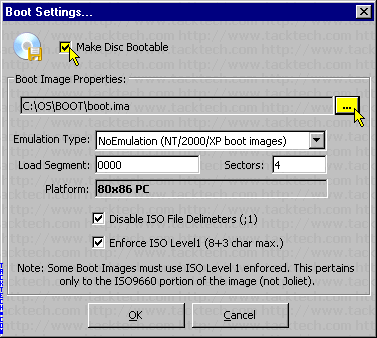 Check the Disable ISO File Delimeters (;1) checkbox. 5.) Check the Enforce ISO Level1 (8+3 char max.) checkbox. 6.) Click the OK button. 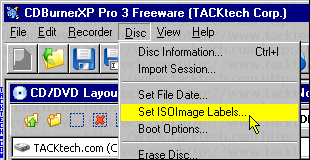 Select Disc > Set ISOImage Labels... from the menu. 1.) Enter in the Volume Label:. 2.) 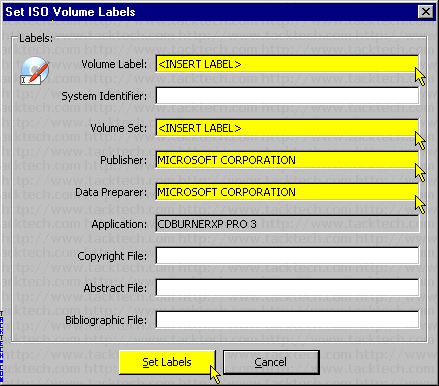 Enter in the Volume Set: (Same as the Volume Label). 3.) Enter in the Publisher textbox MICROSOFT CORPORATION. 4.) Enter in the Data Preparer textbox MICROSOFT CORPORATION. 5.) Click the Set Labels button. 2.) 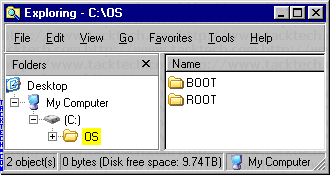 Select everything in the C:\OS\ROOT folder and drag it to the compilation panel. 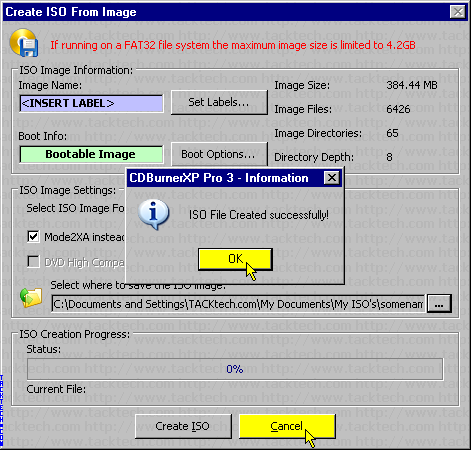 Select File > Save Image as ISO File... from the menu. 1.) 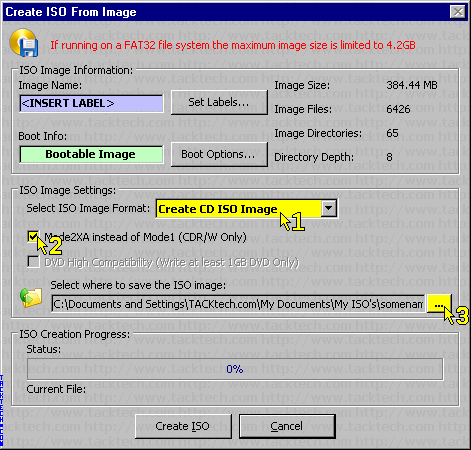 Set Select ISO Image Format: to Create CD ISO Image. 2.) Check the Mode2XA instead of Mode1 (CDR/W Only) checkbox. 3.) Click the ... button. 1.) 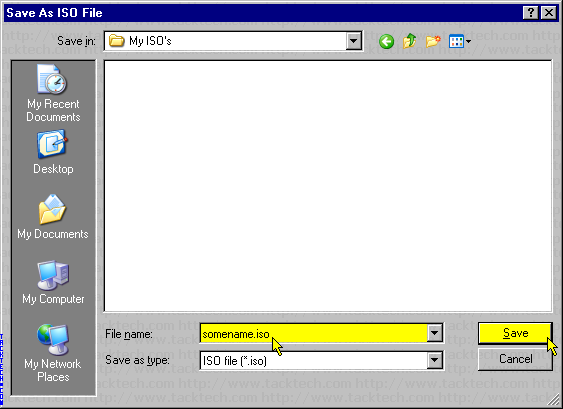 Browse to the folder where the ISO image will be saved. 2.) 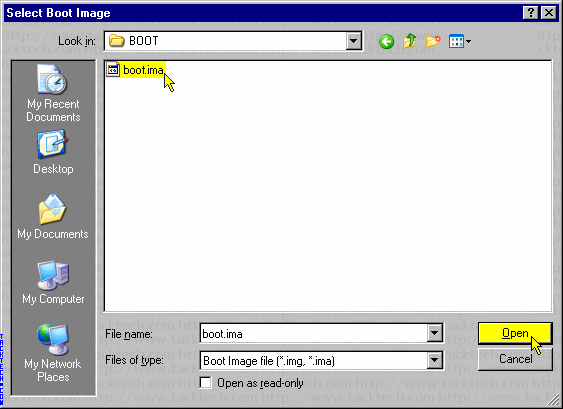 Enter in a File name:. 1.) 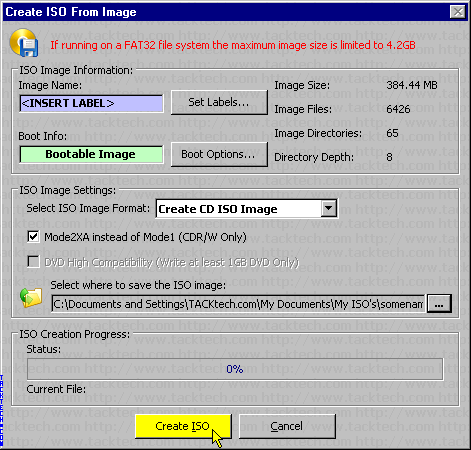 Click the Create ISO button. 2.) Click the OK button. 3.) Click the Cancel button.